Do you like Candy Bubble HTML5? Share it with your friends. 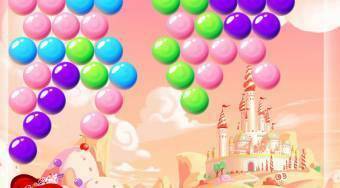 Remove the sweets in the catchy Candy Bubble game and try to get to the last, most challenging round. Treasure the sweets so that you remove them as much as possible and get bonus points. At what level do you manage to get Candy Bubble?